Paul has spent more than 16 years working in technology and corporate PR, on behalf of some of the world’s biggest companies and most exciting and dynamic start-ups. 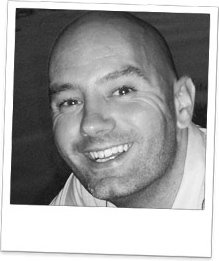 A true techie, Paul specialises in devising and delivering hard-hitting campaigns that resonate with clients' audiences and has a particular ability to understand and distil complex technologies and package them into media-friendly-content. The past few years have seen him pursue an interest in digital and social media and an ideal campaign now is one that integrates the online and offline worlds. The Who, 1989. Best. Band. Ever. Of all time, The Simpsons and most recently, The Trip. No thanks, not my cup of tea. Although I wouldn’t mind a crack at Celebrity Mastermind. Cricket (I was lucky enough to be there when England won back the Ashes in 2005 AND when the Aussies were bowled out for 60 at Trent Bridge in 2015), Bill Murray, mod suits and looking on the bright side. Dawdlers, social media humblebrags and two year contracts for mobile phones. The occasional burst of UB40. Which thanks to my Spotify / Facebook accounts being connected, it is clear to all that the bursts are not that occasional. The setting up and on-going success of Rise PR. The virtual PR agency model seems to really work and fit with the times. Touch wood, every year seems to get better, long may that continue! Being asked by an American client visiting London where he could get a special massage. Karen has a wealth of experience across the consumer PR sector having worked at some of the UK's biggest and best known agencies. 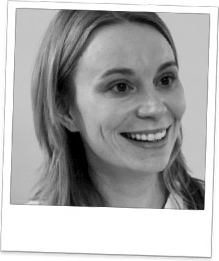 She is a passionate believer in the power of PR campaigns to influence consumer behaviour. During her 15 year PR career Karen has worked with household brands you'll see in your kitchen and on the high street as well as helping start-ups reach that level of recognition. Strictly, although sadly my height would most likely have me partnered with Vincent. Creating national headlines to raise awareness of the issue of pregnancy discrimination for the Equal Opportunities Commission. Watching a client vomit at the table in a pub and carrying on as if nothing happened.